So despite all the recent John Galliano hoo-haa and controversy, Natalie Portman has saved the day in the fact that she is still the face of the new Miss Dior Chérie . Phew! I’ll bet more than a few people at Dior must have been perspiring quite heavily at the possibility of losing the Academy Award Winner for Best Actress in ‘Black Swan’. From 7th March nationwide in the UK, Miss Portman will be seen in ads featured in glossies everywhere. Combine that with the new film campaign which hits TV screens across the UK from 21st March and Miss Portman is omnipresent. Dior managed a home run hit re timing with this launch. Created by perfumer Francois Demachy, the fragrance itself is typically classic and delightfully light and subtly Spring like – a breath of fresh fragrant air that is imbued with femininity without being mawkish in the slightest. A lovely floral-chypre, wispy notes of rose Damescena and intense jasmine mingle at the heart of this overtly feminine offer which features sparkling accords of mandarin orange. There’s a grounding vanilla type sweetness to the base that filters through with a very faint whiff of golden toffee which is the patchouli, sandalwood, moss, amber and vetyver base. It’s this that makes this scent so special and so elegant, in my opinion. Like a trip to the sensual South of France without the air fare. Miss Dior Cherie’s beauty is in it’s appeal to a young and older audience alike. This is undoubtedly a 2011 ‘win’ and an addition to any classy dressing table. The appearance of Miss Portman is simply the cherry on top. 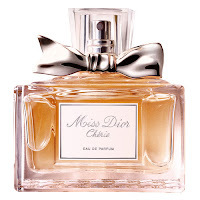 Miss Dior Cherie is priced at £60.50 for 50ml EDP and £85 for 100ml EDP. EDTs are priced £49 for 50ml and £69.50 for 100ml. 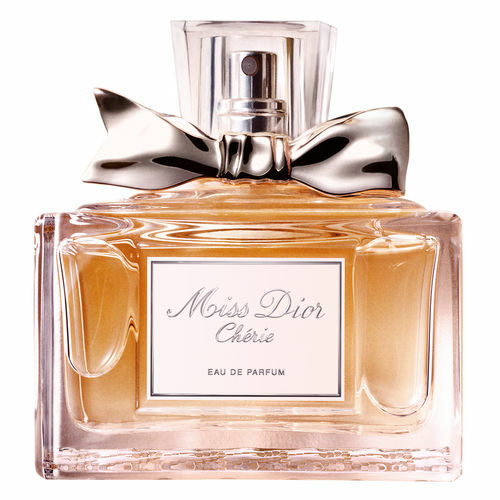 If you’d like to leave a comment on Miss Dior Cherie or on the Katie Chutzpah blog, please feel free to do so in the comment box below. Thank you. Next post: River Island relaunches Chelsea Girl. Memories are made of this.